The truth is, there’s an art to social media for SaaS companies -- but that doesn’t mean it’s rocket science. Whether it’s you flying solo behind your corporate Twitter handle, your dedicated team of experts, or you as a liaison with an agency, you can be a successful social (media) climber. The rules, however, are always changing. Stay on top of social media best practices and trends , and you’ll dazzle the head honcho with how much you can accomplish with a moderate budget and even less time. Ready to don your superhero outfit? Think in terms of social proof, not just social media. When it comes to social media, fatal mistake #1 is thinking too narrowly about how, when, and why you need it. All of the Facebook followers in the world won’t matter if they don’t convert or renew. When you extend your concept of social media to that of social proof, you’re essentially looking at how the world views your company--and this is information that’s available to everyone. 84% of customers read reviews online before they even think about making a purchase. What your network is saying is vital to your success--and with social media, you can help control the message. But let’s not be hasty and throw metrics out the window. You still have to leverage your data. One way to influence the internet’s conversation about your company is by gaining and using valuable information to your best advantage. Customer surveys are an excellent way to do just that. Address pain points head-on, and promote the living daylights out of your best reviews. When you become an expert in (customer) anger management, aka “customer care,” you have the opportunity to rectify an interaction gone wrong--so don’t let it pass you by! Statistics show that the majority of customers love it when their complaints are met with a thoughtful response on social media. And what do they love even more? Ultra-quick responses via social media are becoming the new norm. Soon, it won’t be enough to reply to last week’s, or even yesterday’s tweet from a valuable customer. Speed matters. The quicker you can get back to your social-media-savvy customer base, the better. A time frame as short as 30 minutes is ideal. If this sounds like customer care to the extreme, you’re right. But we’re not exaggerating the importance of each specific, individual interaction online. That’s because it’s not just your followers who count--it’s also your followers’ followers. Let’s not forget the network in social network. Just as you’d hate to have a terrible in-person interaction with, say, a food critic were you the chef, you can’t begin to estimate the importance specific influencers have on their own networks. If the term “chain reaction” is popping into mind, you’re right on track. And more importantly, as Spinnakr puts it, public reviews on websites like Yelp wield even more influence since they are available to customers who are actively seeking your services. And it’s exactly these groups that are vitally important to reach. That’s why you should never write off a specific social network without doing your due diligence. Chances are, it’s neither useful nor realistic to market on every social media platform that exists--but that doesn’t mean you shouldn’t research them thoroughly. Depending on your market niche, specific networks may be where the conversations you need to know about are happening. LinkedIn, for example, is a great place for SaaS companies to look for a specific, highly specialized client base of professionals with purchasing power. That, and it’s a perfect spot to share content marketing materials such as articles, whitepapers, ebooks, and webinars with users who are seeking that type of information. In the end, you have to remember that delight is part of the sales cycle. Social media is a powerful tool to help SaaS companies attract, convert, and retain customers--but SaaS superheros don’t stop there. The power of social media is vast. Creative companies are pushing their client relationships further, going far beyond “normal” expectations. Because what’s better than a happy customer is a delighted customer--one who will advocate for your company, spread praise, and ultimately make your job easier by doing it for you. 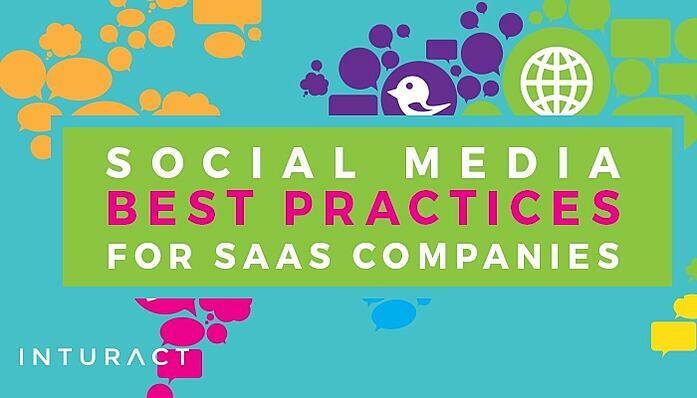 Want to learn more about SaaS marketing best practices? Sign up for SaaS.Community! Where SaaS experts and influencers hang out and share articles on tools, tips and tricks to keep your SaaS moving forward!